INTERESTED IN BIG SWING AND THE BALLROOM BLASTERS? Big Swing and the Ballroom Blasters is a blast from the past and the best party music of today. 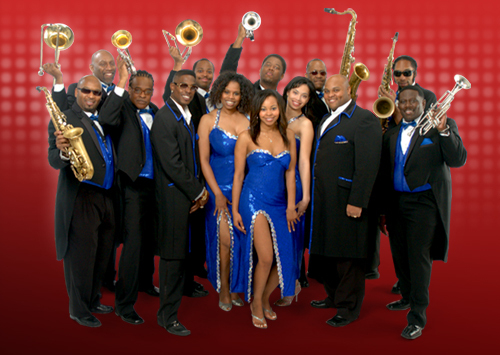 Assembled to recreate the excitement of the world-famous Cotton Club in New York where the rich and famous danced to the greats like Cab Calloway and Duke Ellington, Big Swing and the Ballroom Blasters combines Swing, Motown, Soul, Rock and Current dance music into a powerful and energetic non-stop show. But don’t let the name BIG SWING fool you. With over 800 songs to choose, you can customize your song list to suits your needs. Want 100% swing…no problem! Want 100% 70’s, 80’s and current dance…no problem! Built around the philosophy that when a band takes a break, it kills the momentum of the party, they take no breaks and can play up to six hours NON-STOP! BIG SWING AND THE BALLROOM BLASTERS PLEASES ALL AGES AND TASTES! Whether you're interested in a swinging sound, or the full blast of world-class horns and amazing female vocals on a current dance hit, Big Swing and the Ballroom Blasters is sure to please your most discerning and diverse guests. Start with a few tunes from the early jazz era of the Cotton Club and then JUMP into the best from the 70s, 80s, 90s and today! Looking for Big-Stage impact? Prefer something modern and approachable? No matter the style of your event, Big Swing and the Ballroom Blasters offers costuming and staging options that fit perfectly. White tuxes, top hats and tails... or cool urban sophisticate... we'll be a tailored part of your special occasion. 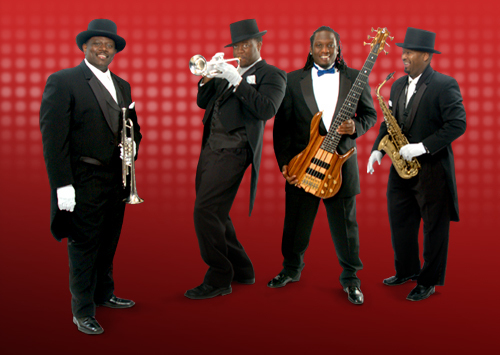 Grammy Award winning Band Leader, Jerry Freeman, toured with Earth, Wind and Fire on their first Australian Tour, Founded Grammy Award winning horn section, Hornz Unlimited, Toured with OutKast on their 20 Year Reunion Tour, Performed multiple times with Aretha Franklin and Stevie Wonder, Recorded seven ( 7 ) platinum albums, and recorded multiple times with John Legend, Lionel Ritchie and Sly and the Family Stone. Lead Vocalist Jamila Thompson was a finalist on the voice and worked with Usher. 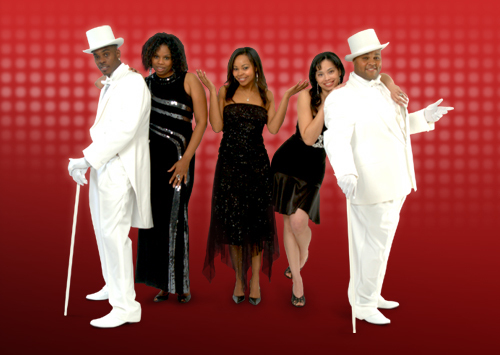 Lead vocalist Calvin Bishop toured with Whitney Houston and performed with New Editions Bobby Brown. 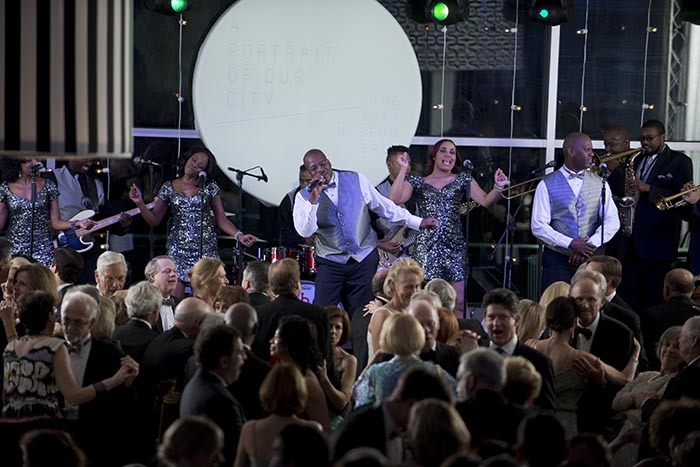 Lead vocalist Marleen Miller has performed with the great Bobby McPherrin and Justin Bieber. 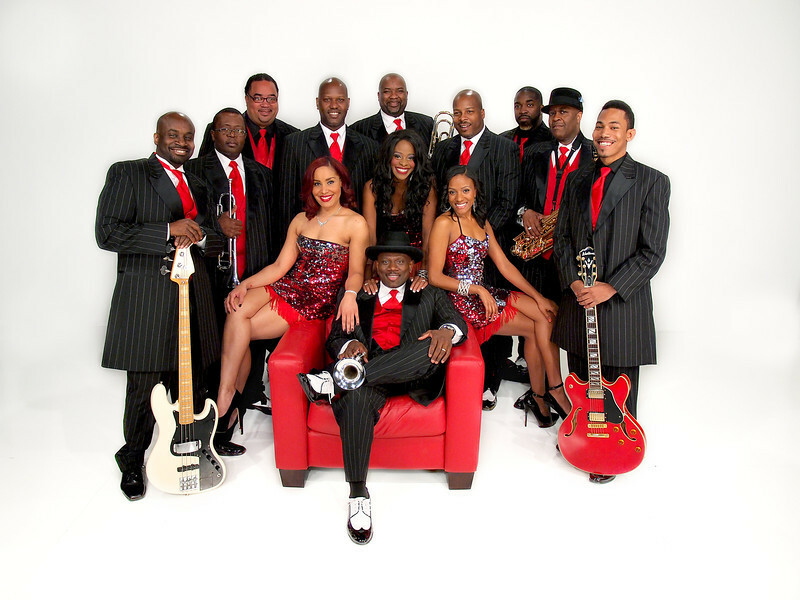 The horn section are members of the legendary SOS band and have performed with James Brown, Millie Jackson and Wyclef Jean. These rhythm section has also performed with Celine Dion, Aretha Franklin, Earth Wind & Fire, Dizzy Gillespie, Lionel Hampton, La Toya Jackson, Jeffrey Osborne, Wynton and Branford Marsalis, The O'Jays, OutKast, Lou Rawls, Janelle Monae and Lionel Ritchie. AFLAC, Turner Enterprises, GoDaddy, Sheltering Arms Hospital, Prudential, NC Azalea Festival, NC Maritime Museum, Greenbriar Railroad & Supply, American Heart Association, Insulate America, Historic Richmond Foundation, CSX Corporation, NC Medical Society, Cook Medical, Wells Fargo, NC Dance Theatre, Charlotte Symphony, Piedmont Hospital, Charlotte Hornets, Duke Alumni Association, Young Presidents Organization, National Kidney Foundation, Carolina Panthers, Federal Home Loan Bank, National Assoc. of Realtors, US Food Service, Eastern Aviation Fuels, Infirmary Foundation, Independent Insurance Agents, Hollywood Pop Gallery, Birmingham Museum of Art, Harley Davidson ...Countless country clubs, dance clubs, debutantes, birthday parties including Ted Turner’s 70th and over 250 wedding receptions including NFL Quarterback, Russell Wilson. So, if you want the classiest, most awesome sound and performance, book Big Swing and the Ballroom Blasters! Just a short note of thanks for your help arranging the entertainment for our daughter’s wedding this past weekend. Big Swing was incredible as always! Thank you so much! Best ever wedding reception. Can't wait for the next daughter's wedding. Thank you, thank you, thank you! Big Swing exceeded all expectations. They are true professionals , great showmen & women and a tremendous crowd pleaser. The band was INCREDIBLE!!!! I will certainly keep you in mind for next year's event. Big Swing is just the best! They were great! Everything was GREAT! They did a fantastic job & all of our guests were blown away.